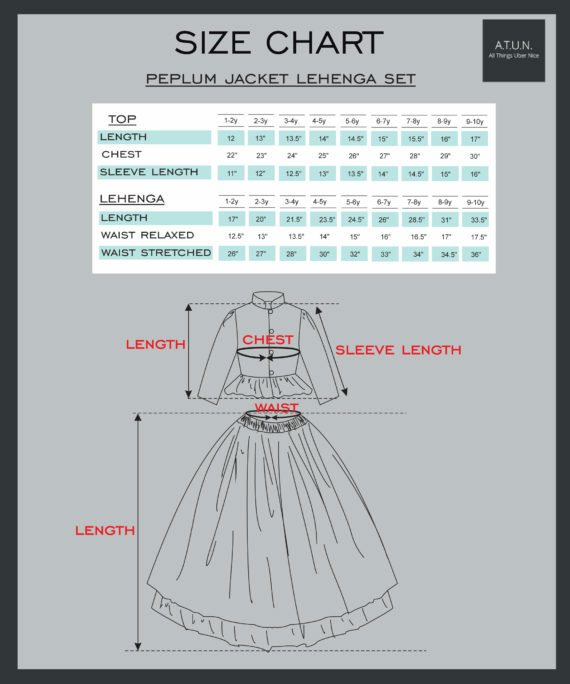 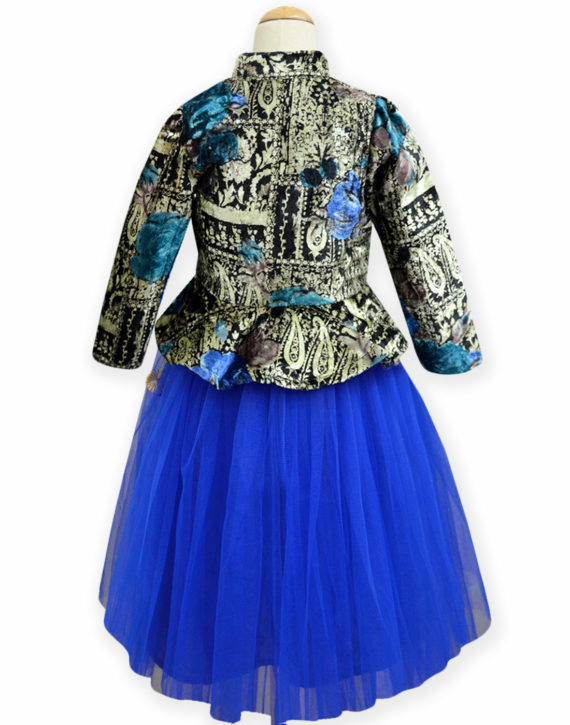 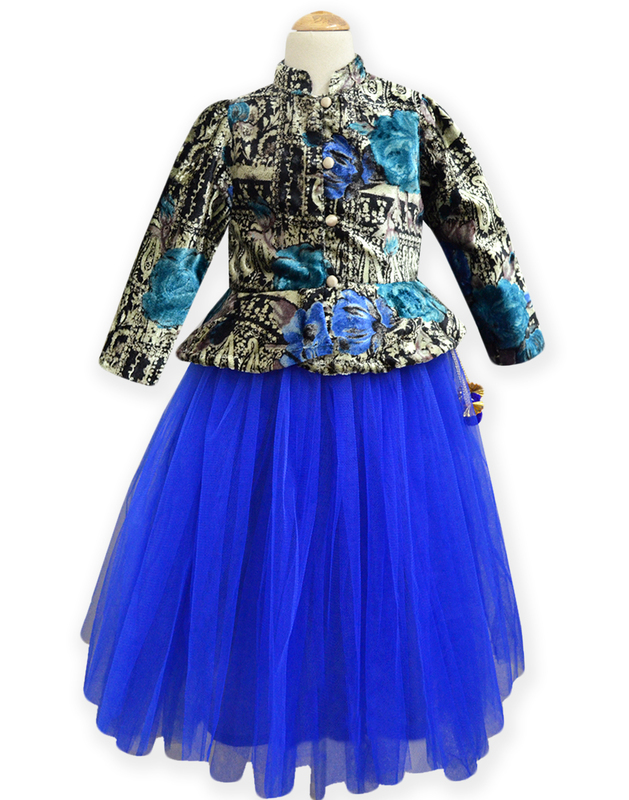 Royal Blue Short Peplum Jacket Lehenga Set - A.T.U.N. 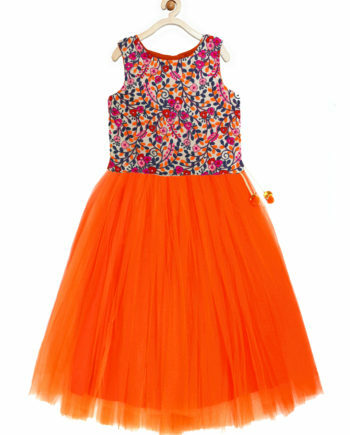 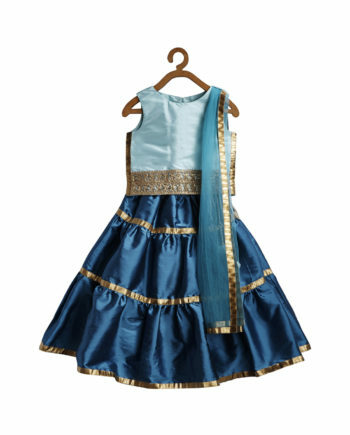 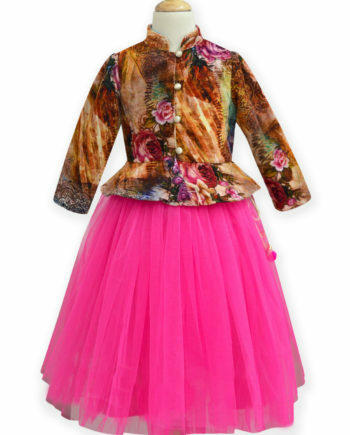 A perfect ethnic style for your little one in the best and softest of fabrics, to lighten up her little gathering. 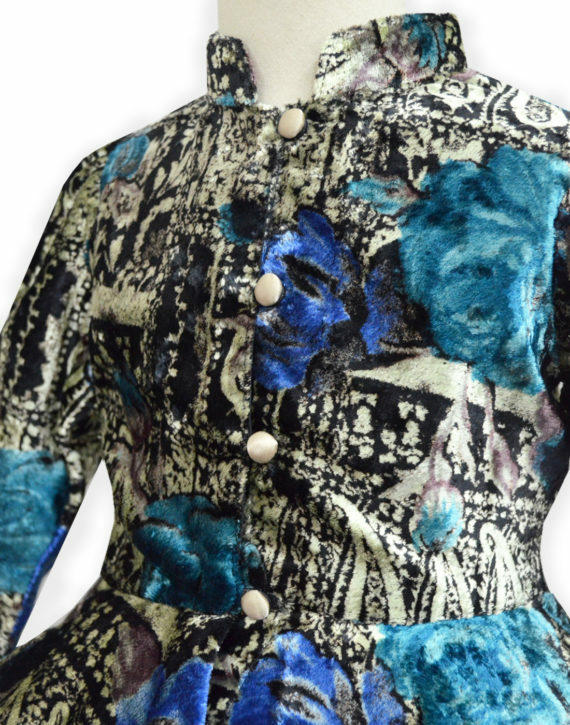 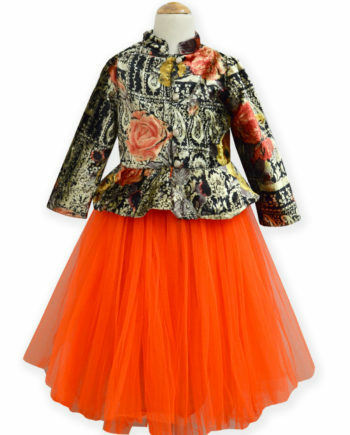 This velvet peplum short jacket lehenga set by A.T.U.N. 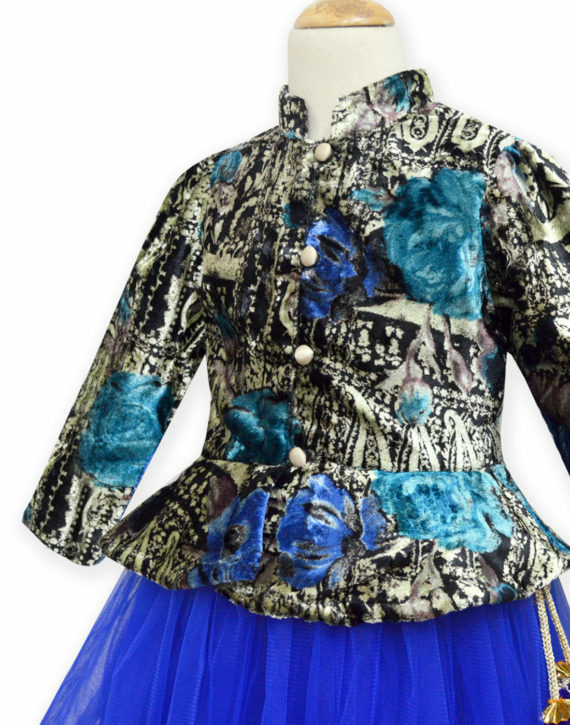 is the perfect ethnic wear to keep her warm and glamorous at the same time these winters.